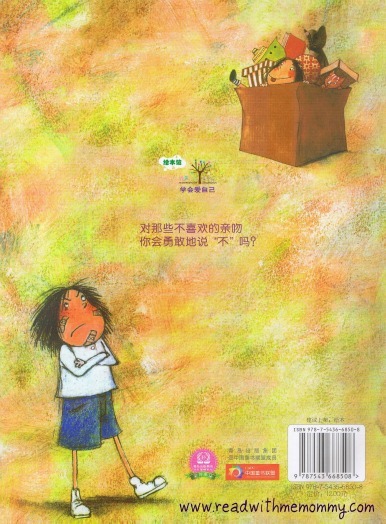 Don't Kiss Me Unnecessarily was originally written in German and has been translated into Chinese. In the story, little Lina's parents are extremely hospitable folks and loves to invite friends and colleagues to their place. However, Lina hates it whenever these visitors plant kisses on her, rather unnecessarily. 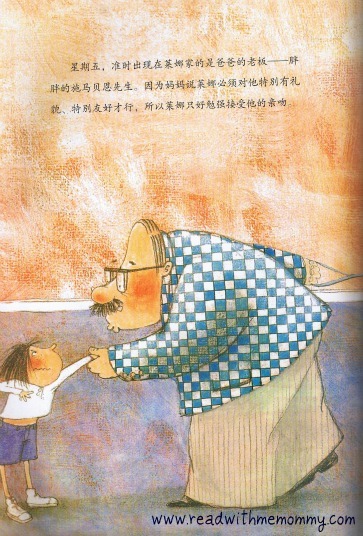 In the book, little Lina resisted these actions through her own little tricks, and made sure that the message that she do not like to be kissed unnecessarily was brought across to the visitors in a firm, yet thoughtful way. 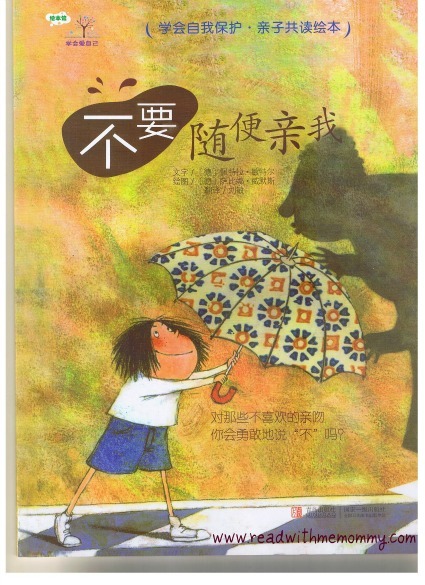 This is one book that parents can introduce the topic of kissing / touching by others to their kids, and how the child can protect himself/herself. 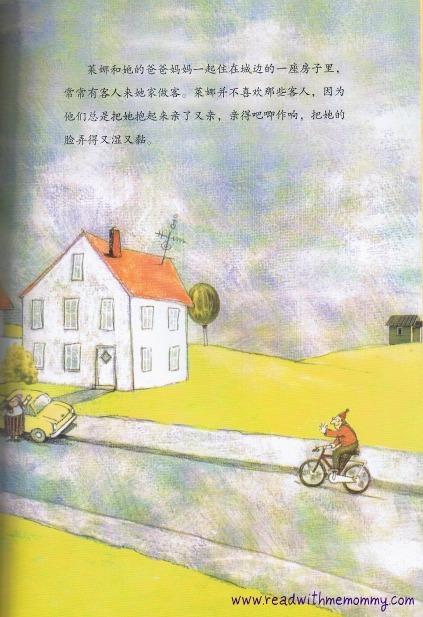 The other 2 books in the series are 《不要随便摸我》"(The Right Touch) and 《不要随便跟陌生人走》("Don't Follow Strangers").